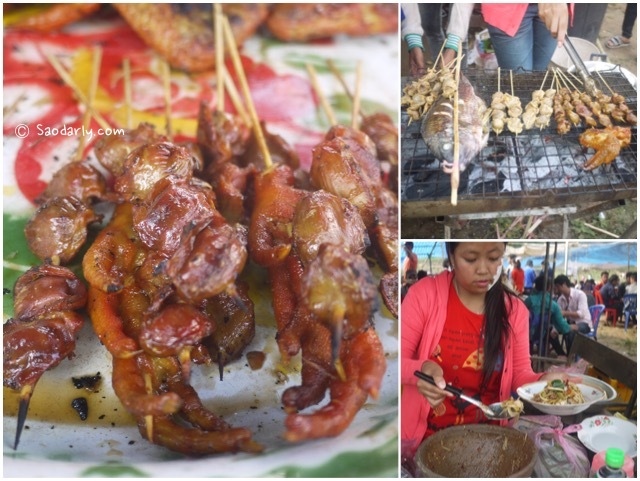 There were plenty of food and drinks available at the Mekong River Beach during Lao New Year Celebration in Luang Prabang for a reasonable price. 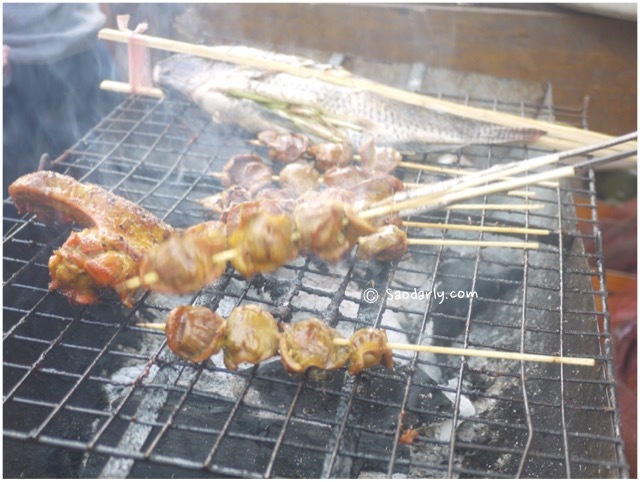 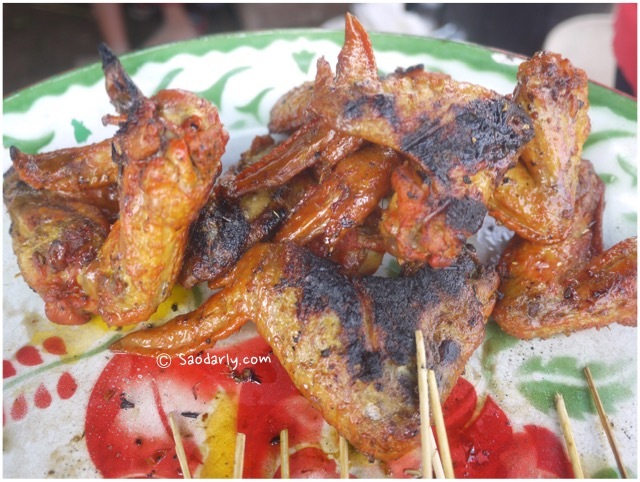 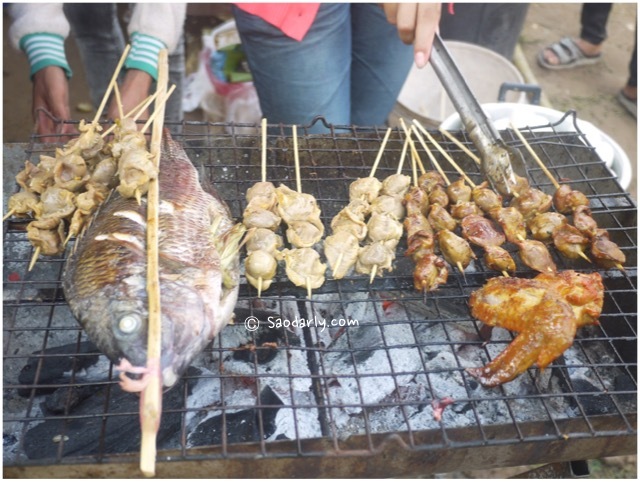 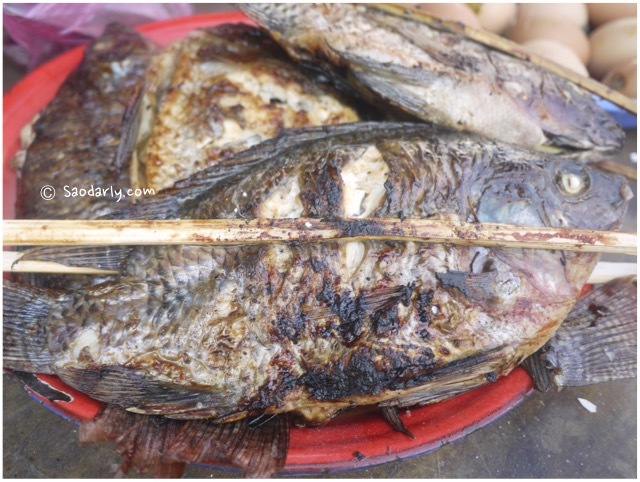 Most of the food vendors were selling the same thing, plenty of grilled chicken, grilled fish, beef and pork. 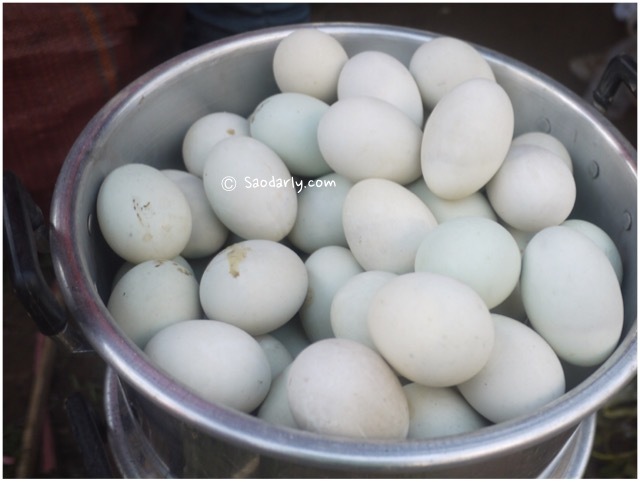 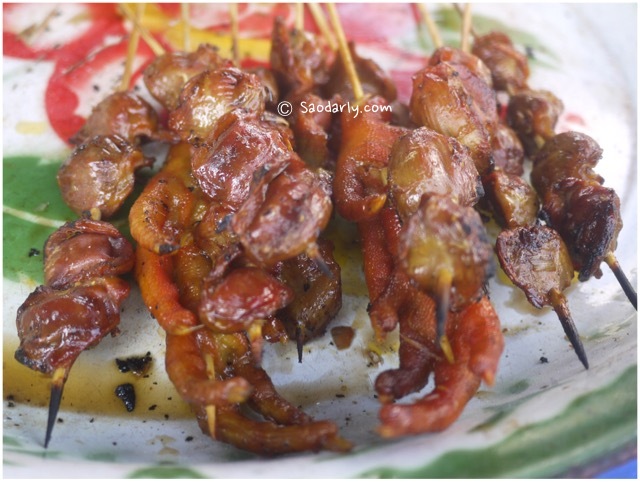 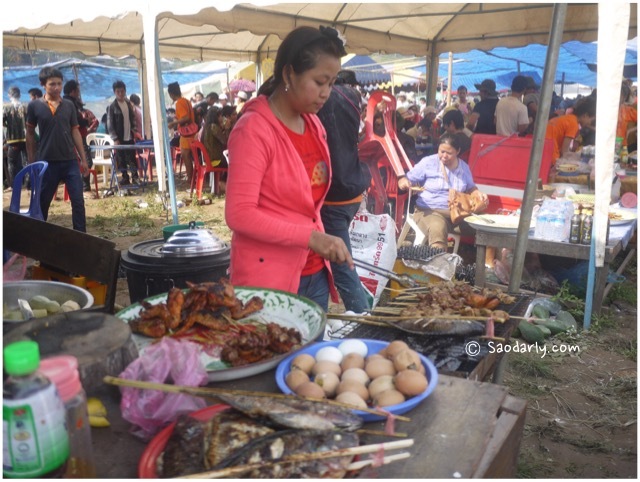 There are some food stalls selling only baby duck eggs to go with the famous BeerLao. 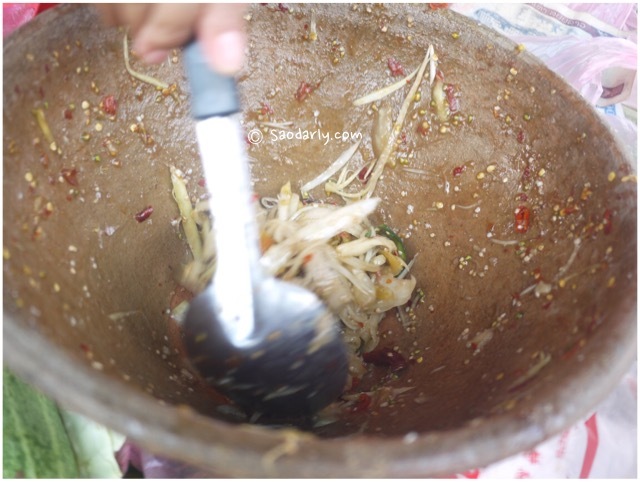 I had a bowl of Khao Soy for lunch and was not that hungry. 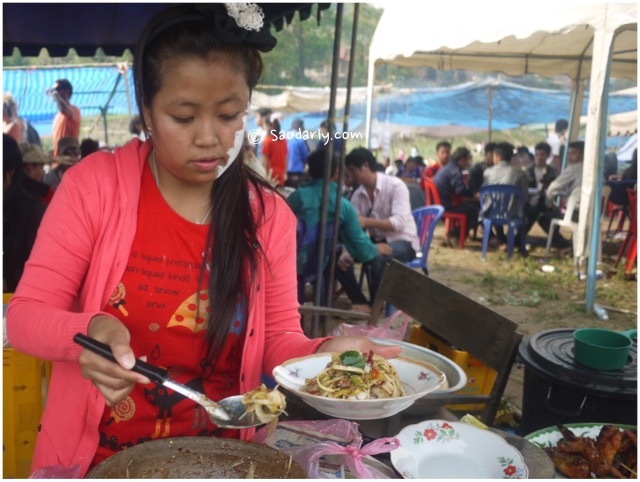 But after a lot of walking and building sand castle we settled down under a tent and ordered two plates of Lao Green Papaya Salad, a couple of grilled fish, and few sticks of grilled chicken.